Queen Victoria, on her way to the Highlands, used to travel through the tiny Scottish village of Edzell, in the Angus region of Scotland. 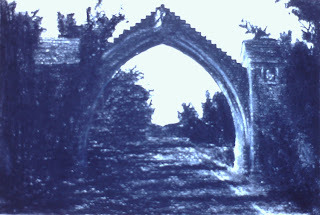 Thus, the locals built an arch to honor their English queen. 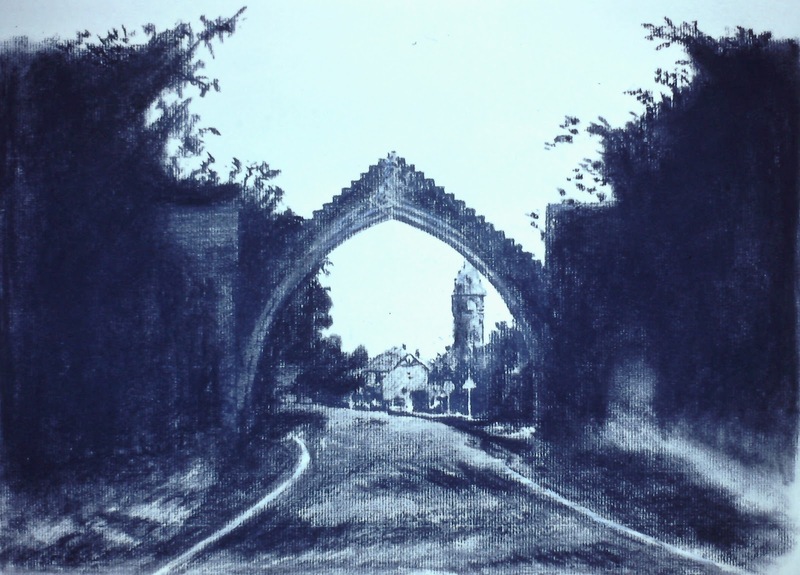 From 1989-1992, I lived a few minutes from the village of Edzell, and the arch was a much visited subject of my drawings back then. 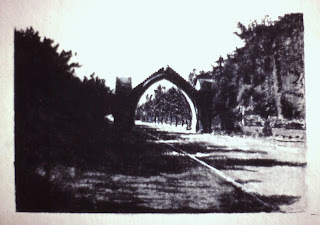 Below are some examples of those works from those years. These are all in multiple collections in Scotland and the US. This watercolor shows a winter snowfall on the road from the Scottish farmhouse (where I lived from 1989-1992 (Little Keithock Farmhouse)) that lead from the farmhouse to the the B966 (I think it was also called the Trinity Road) paved road. It was about a quarter of a mile from the farmhouse to the road, but at night in the winter you could not see your hand in front of your face because it was so dark out in brooding Angus.